Cholesterol Advanced PhytoSterol-850 contains a powerful ALL NATURAL PhytoSterol Blend that promotes healthy cholesterol levels as well as supporting "good" to "bad" cholesterol ratios. Beta-Sitosterol is a proven natural and very effective treatment for high cholesterol levels. As well as helping the body maintain healthy cholesterol levels, it may also help reduce cholesterol levels in the prostate. Guggul Extract further drives the body to achieve healthy cholesterol ratios and concentrations. 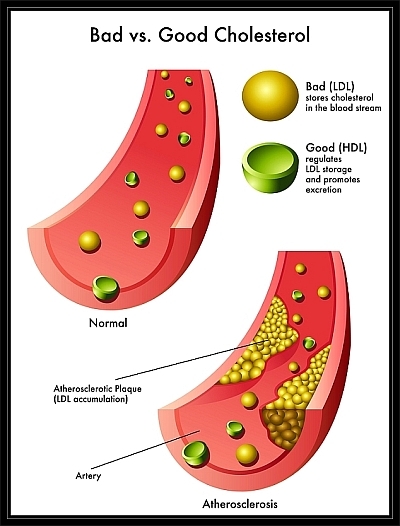 Inositol Hexanicotinate (non-flushing niacin) has been shown clinically to lower total cholesterol as well as triglycerides while increasing the level of HDL (the "good" cholesterol). Finally, our Natural Citrus Flavonoids, Palm Fruit and Olive Leaf Extracts in our CholestGuard 400(tm) complex provides antioxidants in the forms of polyphenols and bioflavonoids to help lower blood pressure, low-density lipoproteins (LDL), and serum triglycerides while helping to promote blood flow, thereby reducing other cardiovascular risk factors.